The rent at 5999 Monkland Apartments ranges from $975 for a studio to a $1,825 two bedroom. Apartments in this building are about 28% more expensive than the Cote-des-Neiges--Notre-Dame-de-Grace average. 5999 Monkland Apartments is a 15 minute walk from the 2 orange at the Station Villa-Maria stop. This apartment is in the Cote-des-Neiges--Notre-Dame-de-Grace neighborhood in Montréal. 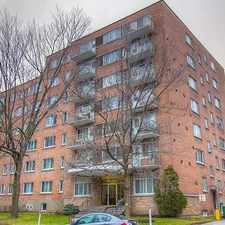 Nearby parks include Parc Herbert-Outerbridge, Benny Park and Parc Paul-Doyon. 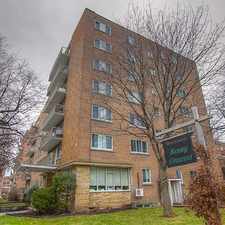 5999 Monkland Apartments has a Walk Score of 91 out of 100. This location is a Walker’s Paradise so daily errands do not require a car. Explore how far you can travel by car, bus, bike and foot from 5999 Monkland Apartments. 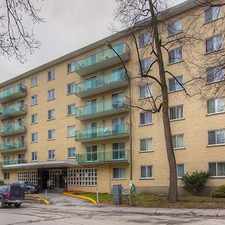 5999 Monkland Apartments has excellent transit which means transit is convenient for most trips. 5999 Monkland Apartments is in the Cote-des-Neiges--Notre-Dame-de-Grace neighborhood. Cote-des-Neiges--Notre-Dame-de-Grace is the 4th most walkable neighborhood in Montréal with a neighborhood Walk Score of 82.